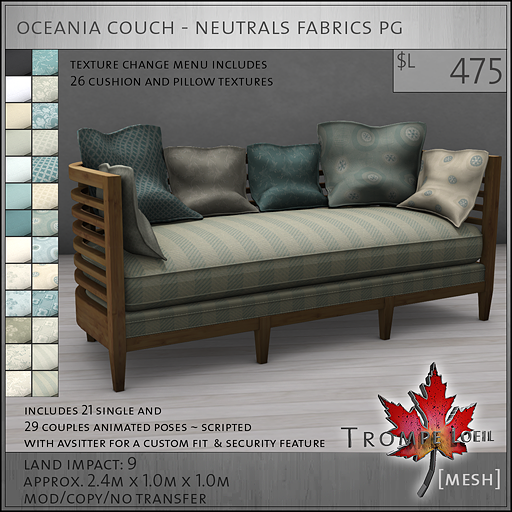 The dog days of August are here – cool off with some new styles for your home that work equally well inside and out! 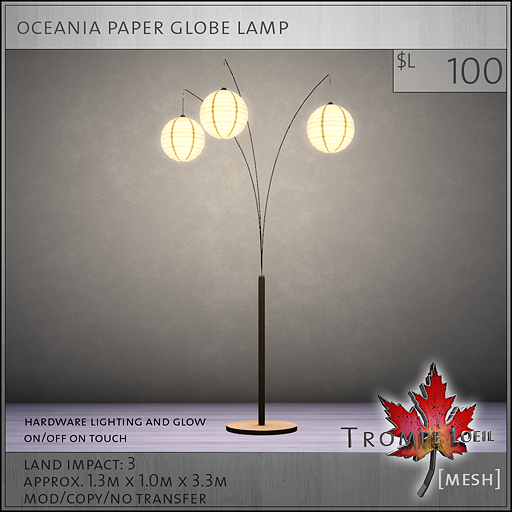 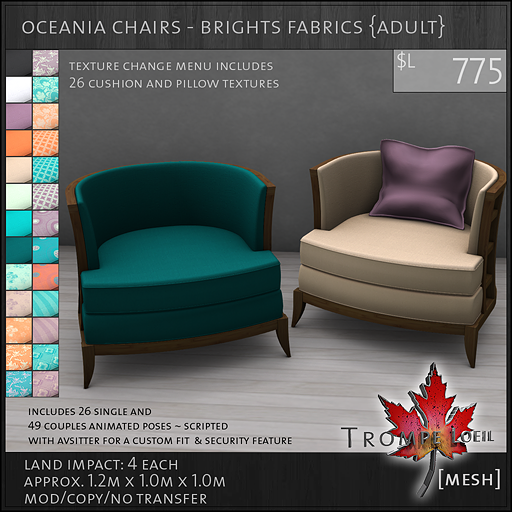 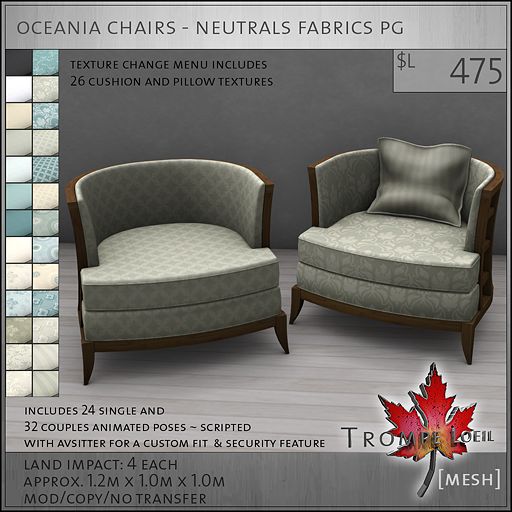 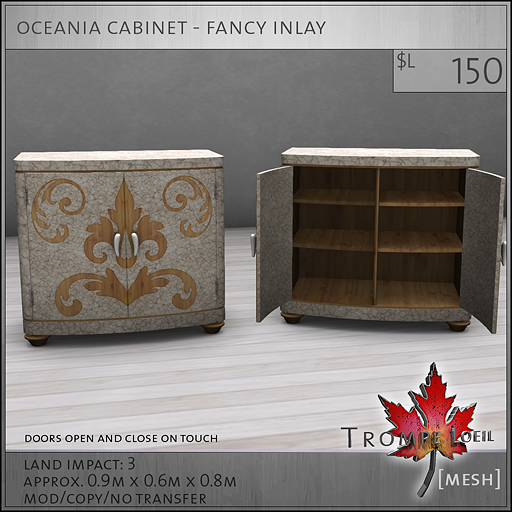 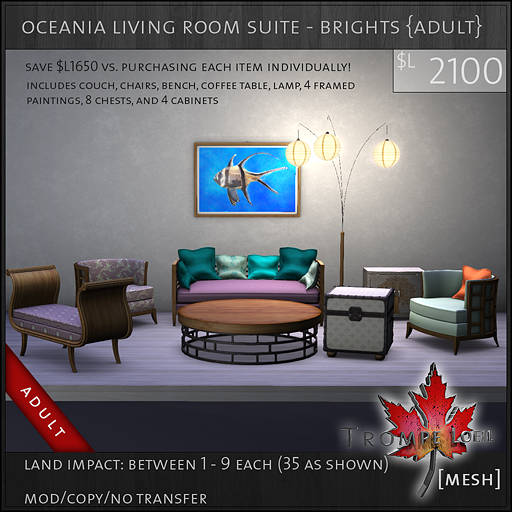 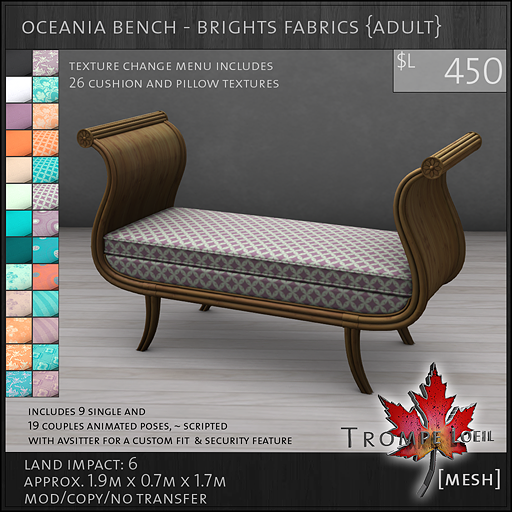 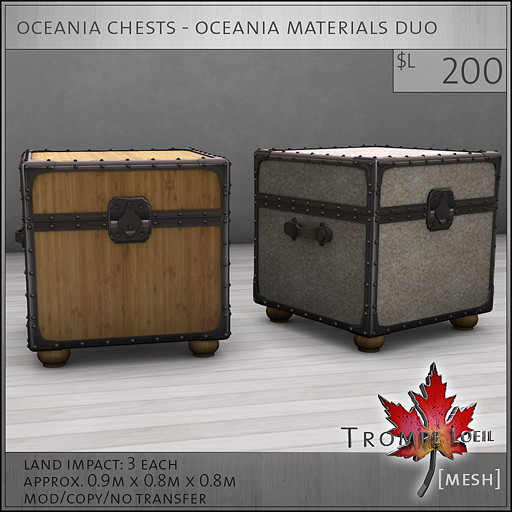 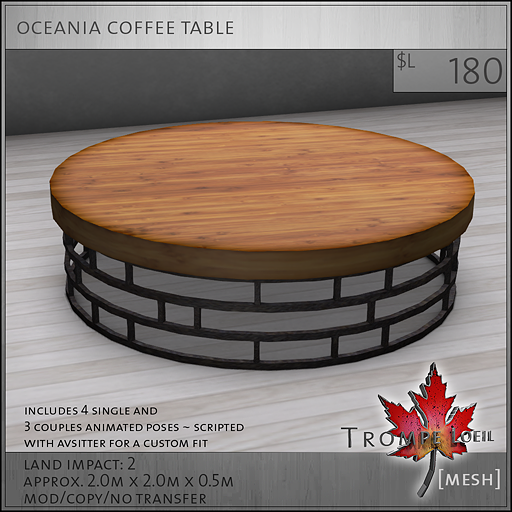 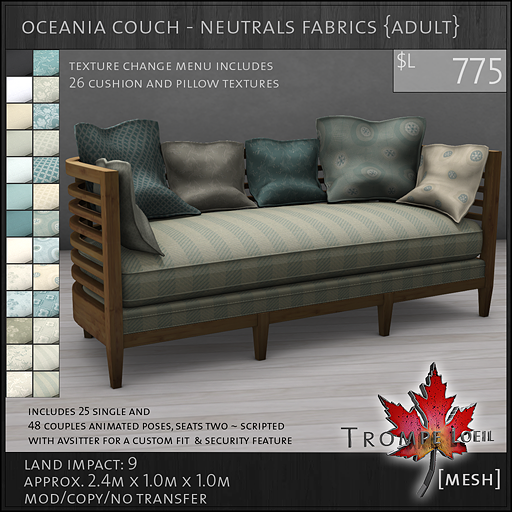 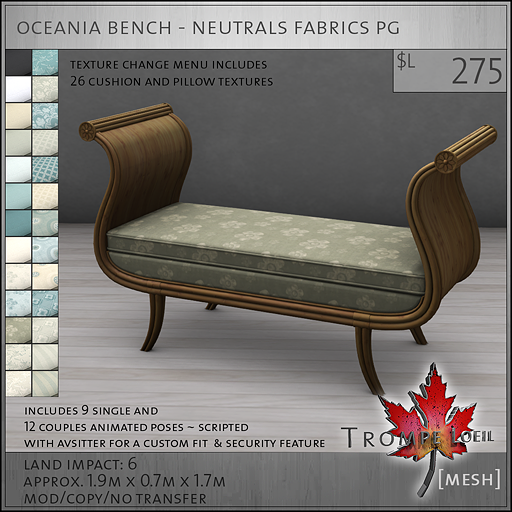 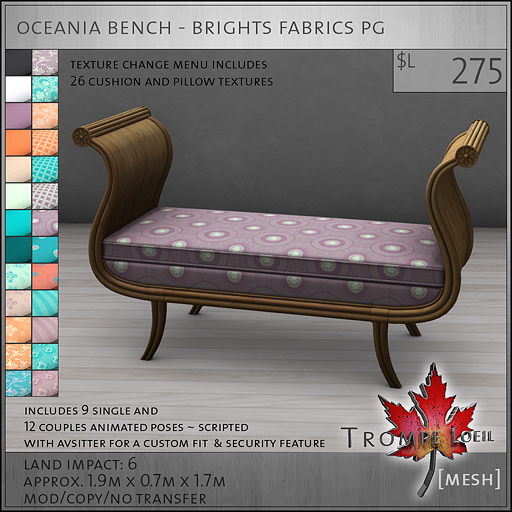 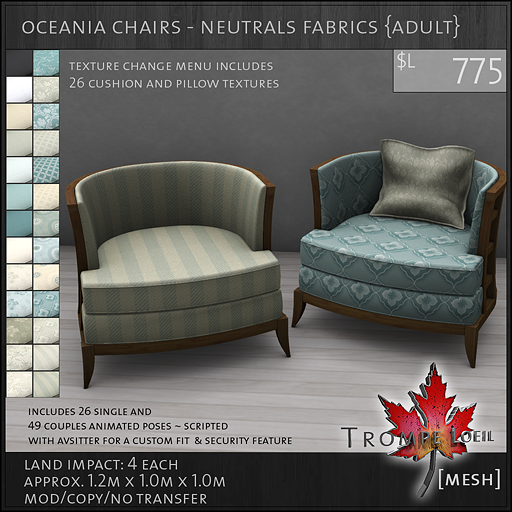 Trompe Loeil’s new Oceania Living Room Collection, exclusively at FaMESHed for August, will be the talk of your late summer blowout bashes. The foundation of the Oceania Living Room is the carefully crafted, gently curved chairs, couch and bench. Available in your choice of Neutral or Bright fabrics, each item comes with 26 fabrics available via menu for the cushions and pillows! 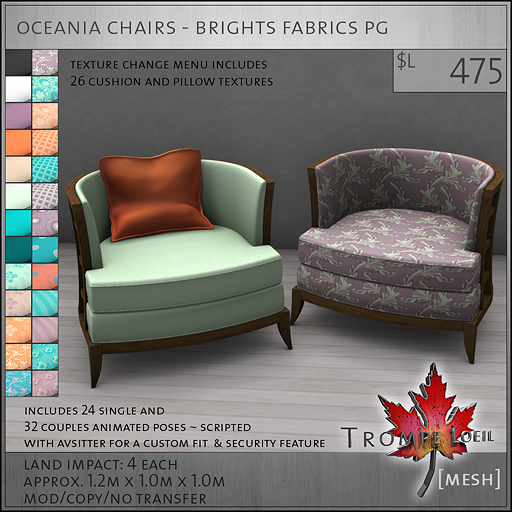 Mix and match to your heart’s content – plus, each item is available in PG or Adult as well! 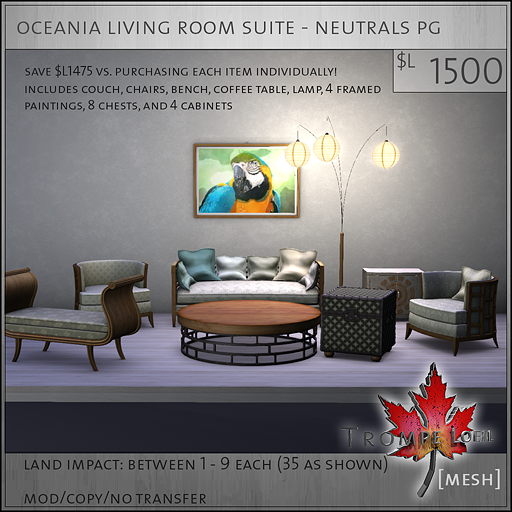 To complete your room, grab our watercolor Wall Art pack, the unique Paper Globe Lamp, the animated Coffee Table, and some truly amazing Cabinets and Chests that make fantastic conversation pieces! 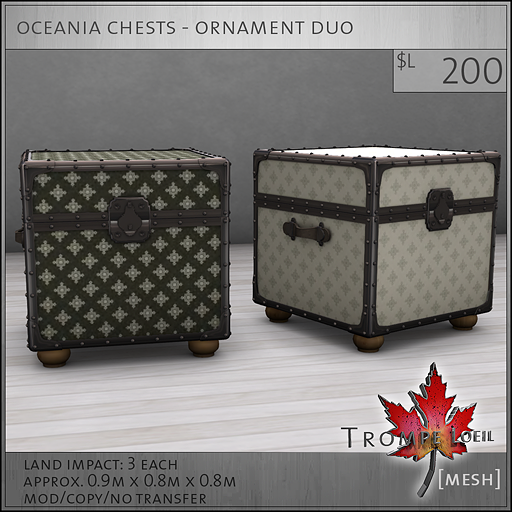 Want it all? You can have it at huge savings! 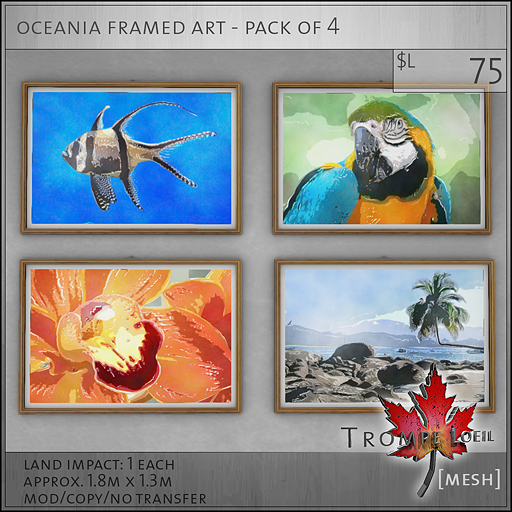 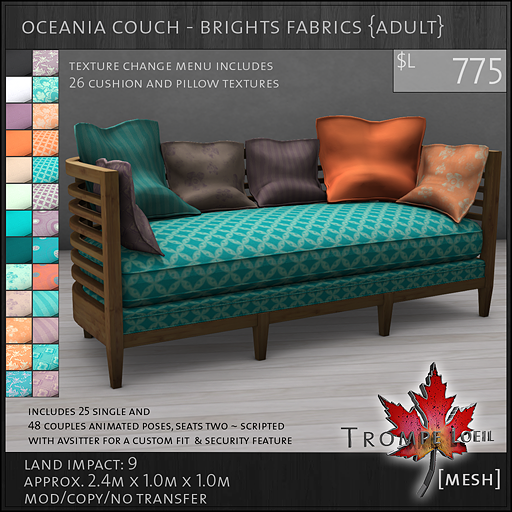 Pick up the Oceania Suite packages in your favorite fabric family and maturity rating and save big – from $L1475 ro $L1650 off of individually purchasing each item in the set!